Legazpi City, [10.16.17] – One soldier and two unidentified local communists has died in a fifteen minutes encounter in Sitio Mapalak, Barangay Joroan, Tiwi, Albay, police report said. 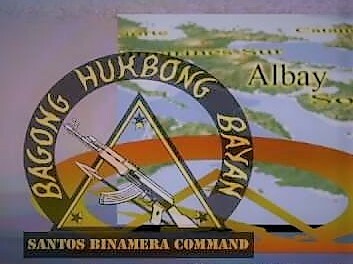 According to Albay Police Provincial Office Spokesperson, Police Chief Inspector Arthur Ramirez Gomez the personnel of the 92nd Reconnaissance Company, 9th Infantry Division Reconnaissance Company Philippine Army led by 1st Lt. Jan Jan B. Siatriz [OS] encountered more or less 30 New People’s Army [NPA] in Sitio Mapalak, Barangay Joroan, Tiwi, Albay this morning. Firefight lasted for fifteen minutes which resulted to the death of Private First Class identified as Robbie C. Regulacion and two body counts recovered from the enemy side. Government troops was able to recovered four M-14 rifles, two grenade launchers, two bandoliers with seven magazines with ammunition, 13 backpacks, two cell phones, one hand held portable radio [Icom]. Two land mines and subversive documents from the encounter site. The encounter in the village of Joroan is the latest local communist offensive following the series of attacks launched by the New People’s Army in Bicol region. Last October 15, Police Officer 2 Dennis Garbida was killed in Barangay Luna Candol, Gubat, Sorsogon and Police Officer 2 Dionne G. Cañada was also wounded in a raid in Barangay Aquino, Bulan, Sorsogon during the latest simultaneous offensives launched by communist terrorists against the Philippine National Police.